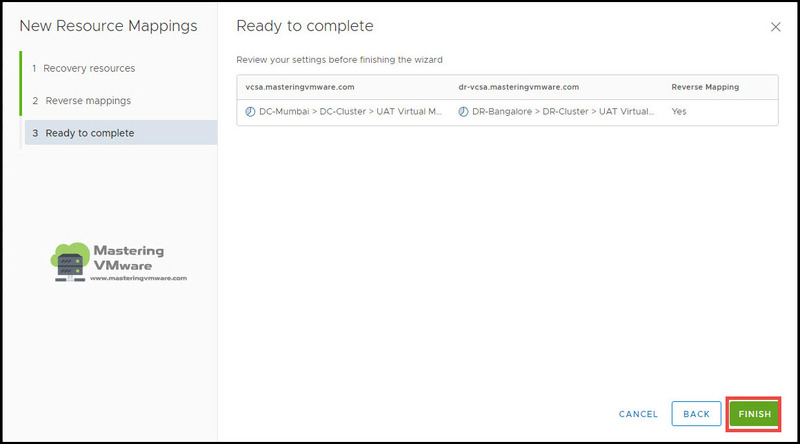 When you install Site Recovery Manager you have to do Inventory Mappings from DC site to DR site. Inventory Mappings includes Network Mappings, Folder Mappings, Resource Mappings, Storage Policy Mappings. All of the Mappings require for proper management and configuration of virtual machine at DR Site. 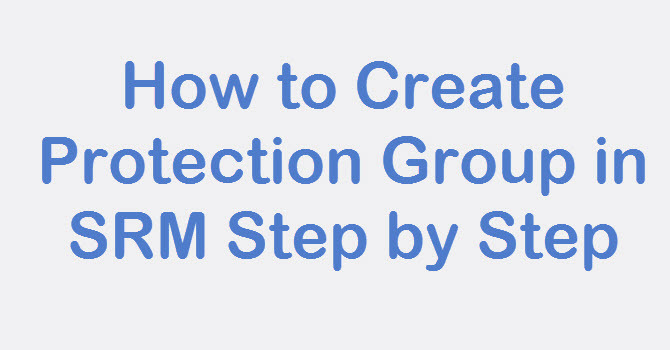 Resource Mappings allows you to map the resources from protected site to recovery site. 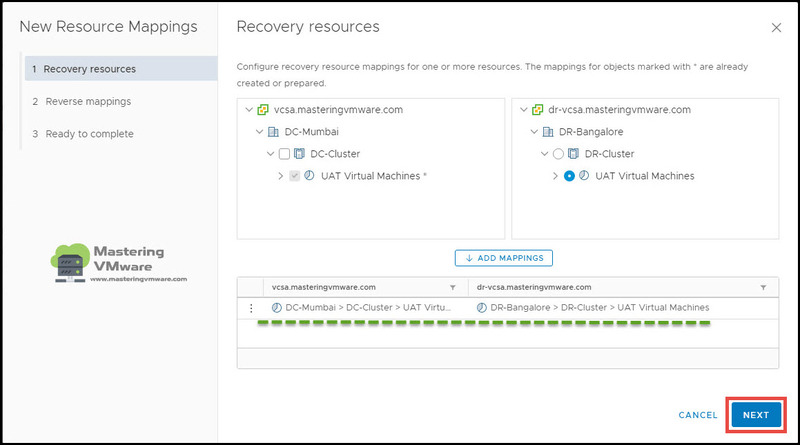 You can Map resource pools, standalone hosts, vApps, or clusters on the protected site to resource pools, standalone hosts, vApps, or clusters on the recovery site. You can map any type of resource on one site to any type of resource on the other site. 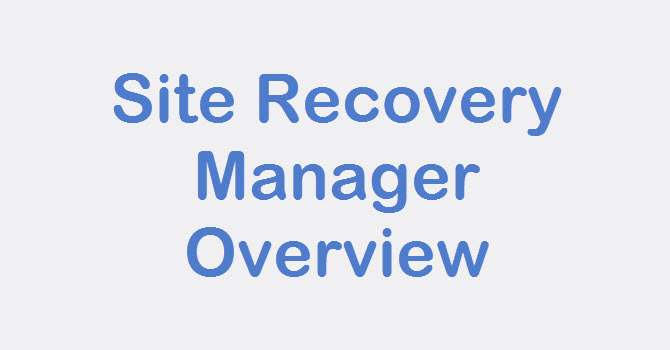 It is useful when you are using resource pools so that you can map resources to the recovery site for easy management. 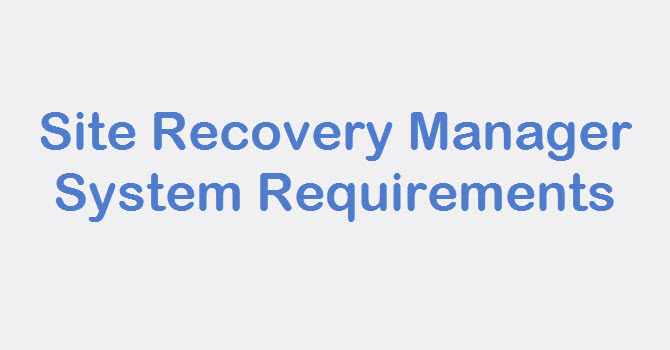 Before starting with Resource Mappings make sure you create same resources at the Recovery Site. Login to vSphere Web Client. 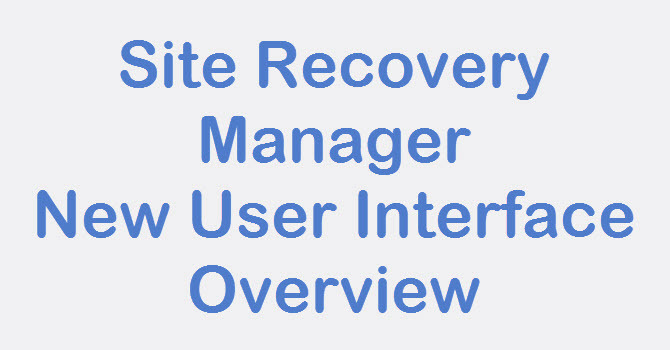 Go to Site Recovery Manager. Click New to create Resource mappings. 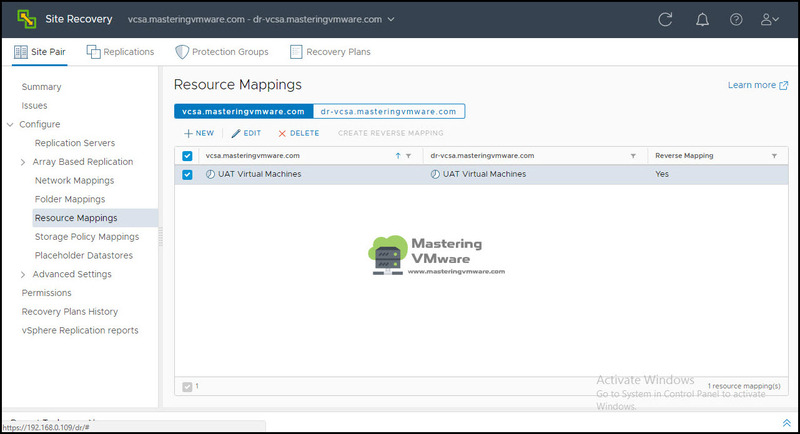 Select the Resource Pool, Clusters, Host or vAPPs on both the site to create Resource Mappings. As you can see that Mapping is listed below. If you have multiple resources you can do multiple mappings also based on your requirement. 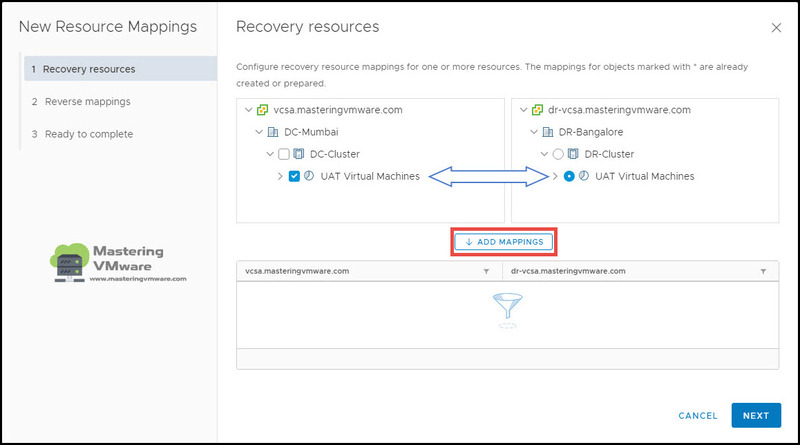 Reverse mapping is useful when you recover virtual machine at Protected site from Recovery site. Just check the box to select Reverse Mappings. Review the Mappings you have configured. Click Finish to create Resource Mappings. As you can see that Resource Mapping is created successfully. It is listed below. 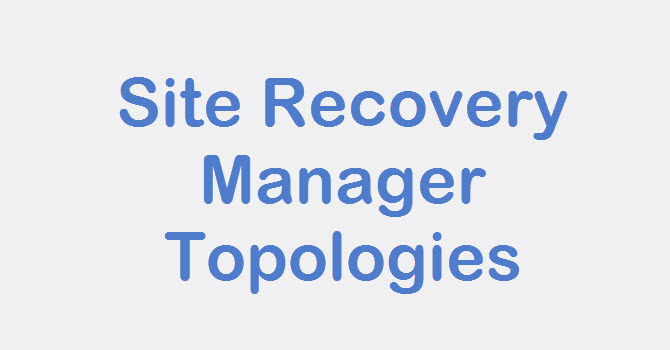 That’s it we have successfully created Resource Mappings for Recovery site. 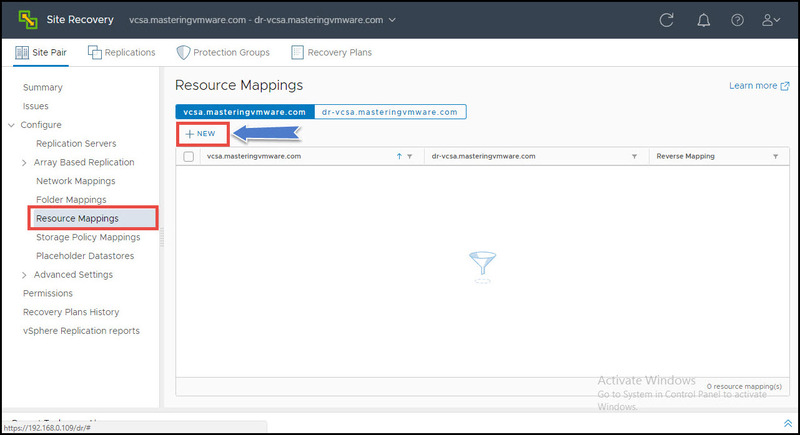 With the help of Resource Mappings you can easily manage your resource pools, Hosts and vAPPs at Protected site and Recovery site. 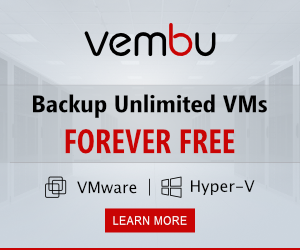 So that your VM will be directly power on in the specified Resource pools. 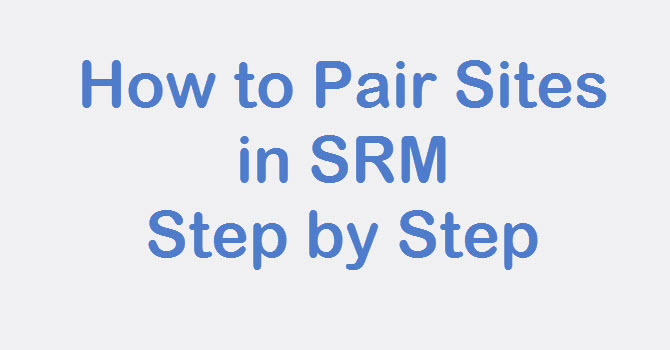 How to Configure Storage Policy Mappings in SRM ? Join Our LinkedIn Group to get Fast updates about our posts :Mastering VMware.